Learn more about CSS at w3schools with their tutorial. see, not mixed up with CSS, or the design or visual elements. There are default settings for HTML tags, such as text is black and backgrounds are white. CSS gives you the opportunity to change to look of your webpage. Background – Allows you to change the background attributes (such as color) of an element such as a paragraph, link, div, or entire Web page. Color – Allows you to specify the color of text. Margin – Allows you to specify the width of top, right, bottom and left margins — for any element such as a paragraph, link, or entire Web page. Padding – Allows you to specify the width of top, right, bottom and left padding inside an element — for any element such as a paragraph, div, or image. Border – Allows you to specify the thickness, style and color of a border — for any element such as a paragraph, div, or image. Font-family – Allows you to specify a hierarchy of font families for any element such as a paragraph, div, or entire Web page. For information about typography and CSS, see the Design Resources page here at Journalists’ Toolkit. Font-size – Allows you to specify the size of the font for any element such as a paragraph, div, or entire Web page. See this at the original source by Mindy McAdams. This web development tutorial shows how to use the CSS element selectors to restyle an element based on its tag. Google Chrome, Firefox, Internet Explorer (IE), Safari and Opera are some of the most popular web browsers used today. Not only is it important to make sure your website works on different web browsers, it good to know what browser are most popular. See the latest details on the most popular web browsers at W3C. The box model is construction of HTML and CSS that allows you to format the default settings of any HTML element. Learn more about the CSS box model at W3School website. Adobe has a tutorial about the CSS Box model, learn more. Learn more about links in CSS at w3school.com. Text can be bold, italic, superscript and more! Learn more about text formatting at w3schools.com. A Code Navigator in Adobe Dreamweaver is an editing tool that allows you to instantly inspect an HTML element and assess the CSS formatting. Using the CSS Designer, you can add and manipulate CSS properties in Dreamweaver. 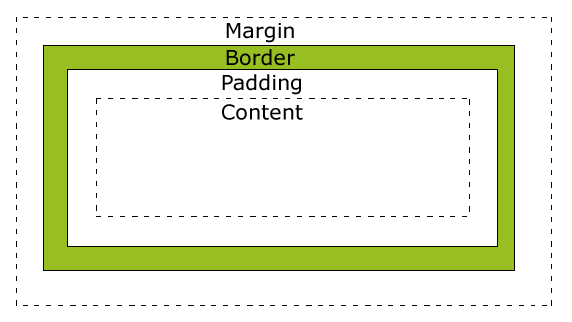 CSS imposes an imaginary box on each element. The box and its content can be styled with borders, background colors, images, margins, padding and other formatting. HTML feature default settings if you don’t style with any CSS, such as text is black and backgrounds are white. Block elements create standalone elements and inline elements appear at the insertion point. CSS3 is the latest standard for CSS. It’s supported by modern browsers and is currently in use. Some of the most important modules include: Box Model, selectors, background and borders and more. Learn more about CSS at w3schools.com.